Clean and attractive Kraft paper outer layer. Padded on the inside for maximum protection with sturdy and durable 3/16" thick bubble wrap. This combination keeps products safe during shipping. 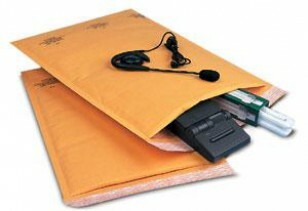 Their light weight make them the most economical way to ship a wide variety of goods. The seal adhesive strip is easy to use and makes packaging your product a snap.